Though spinal cord injuries and disorders have the potential to be devastating regardless of age, they are especially dangerous for people over 65. 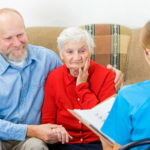 Burlington home care professionals discuss the top 5 spinal injuries and conditions that can be sustained by the elderly as well as possible treatment options to make recovery as smooth as possible. Fractures are the number one cause of spinal cord injuries in the elderly. These fractures can occur as a result of falls as well as blunt trauma. Fractures often require emergency treatment to prevent further damage, which often consists of immobilizing the senior or surgery. Osteoarthritis in any part of the body can be painful, but in seniors it can lead to conditions such as scoliosis and degeneration of the disks and joints in the spine. 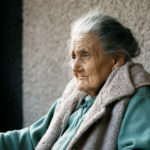 Surgical treatment is not always a possibility in the elderly. Recommended non-surgical treatments include resting, light stretching exercises, water therapy, and pain relievers such as ibuprofen. These disorders, such as gout and calcium deposits, can cause high levels of spinal pain and often feel like arthritis. Gout and other microcrystal disorders are generally treated with NSAIDs to reduce inflammation levels. Gout may also be treated with medication to reduce uric acid levels. Osteomyelitis is a spinal cord infection spread by the vascular system. Typical methods of introducing this infection include long-term use of steroids, urological procedures, poor nutrition, intravenous drug use, and cancer. Surgery can be performed but is not recommended, as it can cause the spine to be less stabilized. Treatment typically consists of spinal braces, rest, and intravenous antibiotics. This disorder is rare but can still be found in seniors who have a genetic predisposition. Doctors are unsure about what causes this disease. Some believe it may be caused by an infection in the bone, but this theory has not yet been proven. Surgery is a rare treatment method. The primary treatment of Paget’s disease is medication to combat osteoarthritis. Some seniors are able to take medication to regulate calcium levels as well. Though spinal injuries in the elderly can be traumatic, they can typically be treated. When possible, the most effective treatment is fall prevention. When possible, it is also recommended for seniors to avoid steroid use and maintain a nutritious diet. If your loved one needs help maintaining healthy habits, turn to Home Care Assistance. Our proprietary Balanced Care Method was designed to encourage seniors to eat well, exercise regularly, and focus on other lifestyle factors that help them live longer and healthier lives. 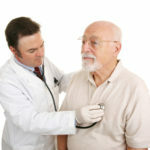 We also offer comprehensive Parkinson’s, stroke, and Alzheimer’s care. Burlington families trust in our caregivers to keep their elderly loved one safe and comfortable while aging in place. For more information and to schedule a free consultation, call (802) 231-0415 today.